Sorry for the late post, I’ve been busy in Christmas celebrations with my family who I only see a few times each year. I can’t believe the year is basically over, but at the same time I am so excited for what the new year will bring. So, to make this a little bit more interesting, I’m going to be styling this as a bit of a guessing competition. I’m going to give three facts about the book which might be part of a synopsis or why I’m excited to read it, and then have a section of white text that you can scroll over to see which book I am talking about. How long did it take you to guess which book I was talking about? Were there any you got on the first clue? Which books are you anticipating in 2018? I changed the text colour to white! It’s a neat little trick I picked up from another blogger a while ago. Oh my gosh, so simple but awesome :) It was a fun little trick! Love how you did your post. I can’t wait to read Ace of Spades. Awesome list! Thanks! 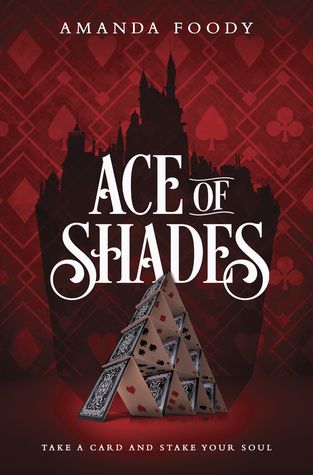 Ace of Shades has an amazing cover. 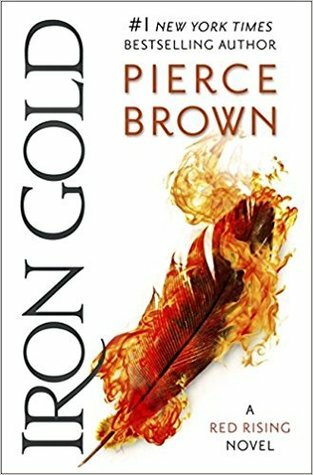 I can’t wait for Iron Gold as well. Thanks! I can’t wait to find out the cover for On the Come Up. THUG’s cover was amazing so I have high hopes. This was a super fun way to do your TTT! I enjoyed reading it! Even though the only ones I actually got right were the ToG finale and Obsidio lol. Thanks! 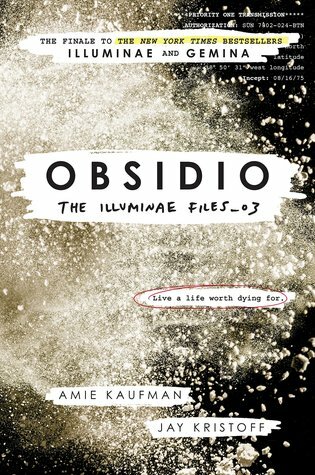 I can’t wait for Obsidio. I just reread Illuminae and Gemina and I am so hyped. Yay! I can’t wait to read both of those. And when will we get to see On The Come Up’s cover? I can’t wait!! I guessed all the books I actually knew about – yay me! Some I don’t, so have to look into those! It is good for talking about spoilers. You must be a great guesser or be really up to date with all the books for 2018! Pretty much obsessed with books? And it hasn’t been that long since I took a long look at the 2018 releases – although I still have about half 2018 to check out, ugh. Yay! A Court of Miracles hasn’t been talked about as much but I really like the author so I am super ready to read it. YES! I am so ready to cry with happiness and pain. I haven’t actually read any of Adam Silvera’s books yet even thought they all sound amazing. So I guessed a few, Angie Thomas’ book, Becky Abertalli, Obsidio, & Sarah J Maas’ books. This post was such a fun idea! This was fun, I only guessed a handful! I can’t wait for Whisper of Tides!! Thank you! I remember getting a bit bored this time last year when the same 15 or so novels kept being repeated so I wanted to do something different. Love how you made this post so mysterious. 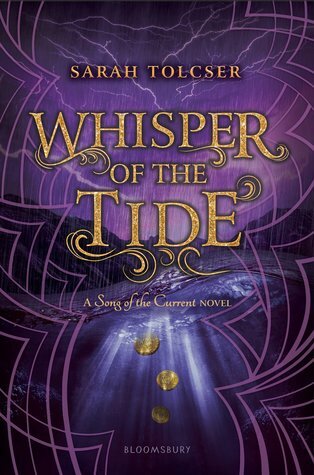 I’m also really looking forward to Whisper of the Tide. I was really impressed with Sarah Tolcser’s debut. 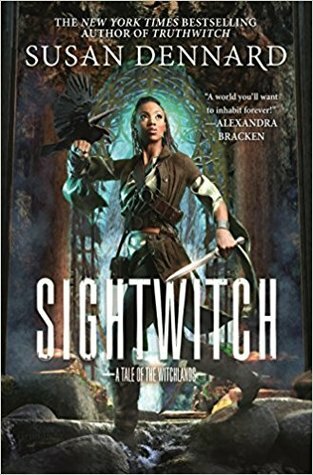 I usually don’t go for prequels, but that Sightwitch cover is something fierce. Happy New Year! Thanks. I usually find that it takes me a few books to get into a series but Song of the Current really impressed me! Okay this was really fun!! I got nearly all of them too.😂 Except for the second Sara Tolscer book and I’M ASHAMED?!? I really want to read that one but I didn’t even have it added!! And I’m so so excited for 2 Albertalli books next year and also Ace of Shades and Obsidio and Iron Gold and fajdsklafd. It’s going to be a freaking epic year!! Ahhh thank you!! And yes, Song of the Current was really different to the ya fantasies I typically read and I loved it so I can’t wait for the sequel. There are just so many books coming out next year and I just?? How to cope? I don’t have time for them all! Omg this was SO much fun, Emma! What a great post idea. <3 I guessed Books 3, 5, 7, and 10!! 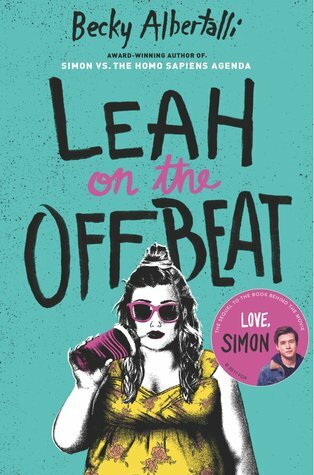 I'm so surprised that I didn't guess Leah on the Offbeat?? I was thinking about The Brightsiders, which ALSO features a drummer, but that's a completely different story and blah blah blah blah. I'm SUPER excited for Obsidio & Leah — I loved the other books so much! And uggghhh What If It's Us is surely going to ruin me. And I'm kind of hesitant about Ace of Shades?? I really disliked DOTBC, and Ace sounds a little TOO similar to SoC, but I'm willing to try it!! Thank you!! I keep forgetting that The Brightsiders is a 2018 release, for some reason my brain defaults to thinking it is 2017 release? Anywayy, I am also going to be destroyed by What If It’s Us, it sounds adorable. I can’t wait to see a cover! I haven’t read DOTBC yet so whether the author’s writing style fits my tastes remains to be seen. It does sound similar to SoC, hopefully that’s more of a marketing strategy because if it’s too similar I’ll get bored.